For Permanent hair straightening you will go to salon and they use products having chemicals or use of flat iron.This can seriously damage your hair and appearance. 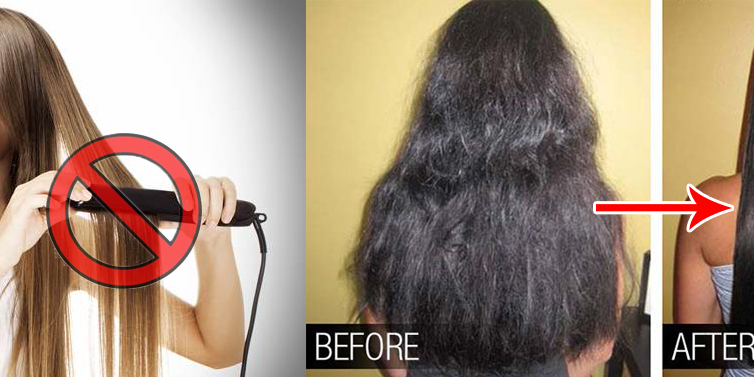 We are here to show you the good tips for natural and damage free straightener of your hair. You just need V*dka, Honey and Banana for this. Take a look below and enjoy! ☛ You need to mix a few drops of v*dka in conditioner and apply after bathing. You must have The low pH value to get straighten hair. ☛ Banana is very easy to straighten your hair. It is best to mix a ripe banana and 2 tablespoons honey than leave it on your hair for 1 hour. ☛ Once completely dry, you can wash with shampoo. ☛ Mix an egg in 3 tablespoons almond oil. Apply to damp hair. Leave the mixture on for up to 20 minutes. ☛ Rinse hair with cool water, and comb your hair softly using a wide tooth comb.